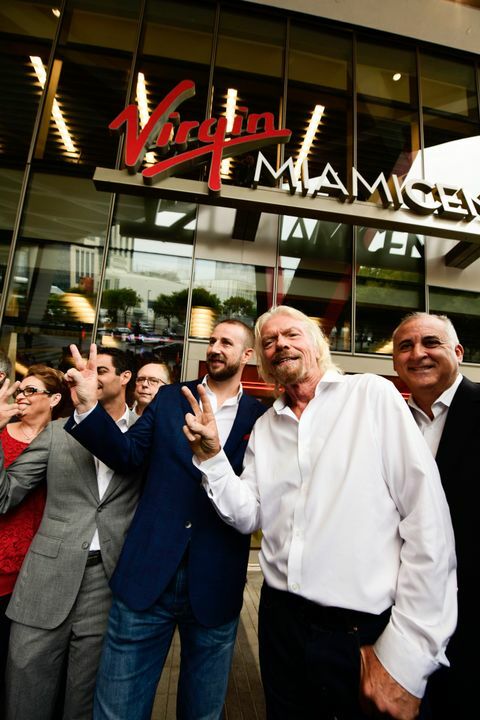 MIAMI, Fla. (April 4, 2019) – Richard Branson and Virgin Trains USA President Patrick Goddard unveiled Virgin MiamiCentral this morning and revealed the first visuals for Virgin Trains USA. Branson and Goddard, along with City of Miami Mayor Francis Suarez and Miami-Dade County Commissioner and Chair of the South Florida Regional Transportation Authority Esteban Bovo, Jr. gave remarks at the ceremony that touched on topics including transportation, mobility, the future of train travel and Virgin Trains USA, economic impacts and more. The celebration marked the first significant moment in Brightline's transition to Virgin Trains USA. 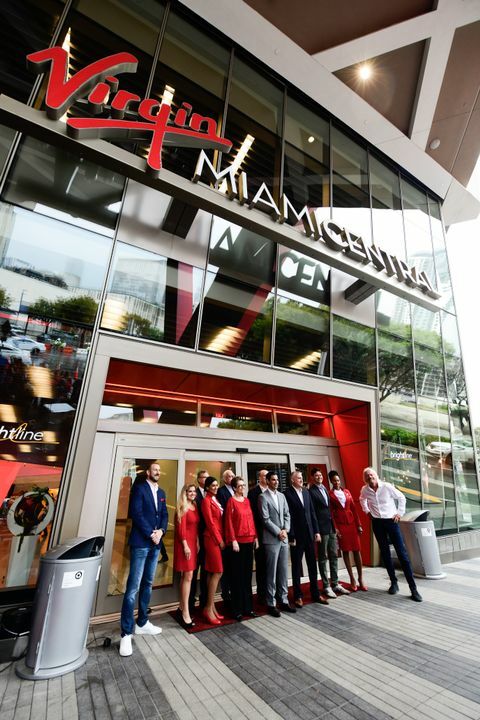 Virgin MiamiCentral is the new hub for all things transportation, leisure and business. The transformational, transit-oriented development spans six Downtown Miami city blocks and features Virgin Trains USA's Miami station, in addition to connectivity to Metromover, Metrorail and future Tri-Rail service. At Virgin MiamiCentral, retail and dining venues, including a food hall experience, make-up an expansive promenade surrounding two residential towers with over 800 apartments collectively known as Park-Line MiamiCentral. The monumental development, by Florida East Coast Industries, has completed its office component delivering both 3 MiamiCentral and 2 MiamiCentral, reimagining Miami's Central Business District. Underway and opening in phases, Virgin MiamiCentral offers a first-of-its-kind lifestyle destination for transit, dining, entertainment, living and business.